The Lakota Oyate is involved in an historic process of reviving self-governance amongst our people. This is a long-term process that will and must involved all members of the nation in an effort to restore to the governing system the values that make Lakota who we are. As we are all aware, the restoration of our own values into our government will require a rediscovery of who we are. This means that our language must be revived and our culture understood by all Lakota. Each of our governing systems must be reviewed and analyzed through Lakota eyes. From land to housing to the council to the court, a government must be created that reflects who we are. It is clear to everyone that our Lakota values are not reflected in the IRA government system-nor were they meant to be by the authors of the IRA. The IRA form of government must and shall be replaced by our own system, unique to our culture and our values. But while we work together to restore our own system, the people continue to be victimized by a tribal government that mismanages our monies, land and resources. It is hard for people to focus their energy and time on the needed changes when their families suffer directly and daily from government abuses. While the reestablishment of a Lakota government will be a thoughtful, long-term process, it is crucial that steps be taken immediately to stop the financial mismanagement, corruption, self-dealing and unfair operation of the current IRA government. This can be done most immediately by restructuring the current constitution through secretarial election to create a "transitional" or "caretaker" government. The changes must immediately bring to the transitional governing process the Lakota values of openness, fairness, direct accountability and, above all, ultimate control by the people. If these changes are put in place, the people will be relieved of the immediate, daily abuses they are subject to, and the people will be able to focus their energy on the creation of our own system, without far of punishment and retribution from the present government. Further, these immediate changes will restore the smooth flow of services and funds from the federal government through tribal programs that are the treaty obligations of the U.S. to Lakota people. If we work together, these changes can be put in place long before the next general election. Direct Recall of elected officials by the people who they represent. The Council should not be the only judge of the qualification of its members. This is the way it is now, and it has created a system where the representatives are not responsible to the people who they are supposed to represent. A direct recall provision allowing the voters of a district to recall their representative is needed. Direct Removal of officers by the people. At the present time, officers, such as the treasurer can only be removed by the council. The current crisis could have been resolved a long time ago if the people had their rightful democratic ability to remove officers directly. Panel of Elders as the Highest Court. At present, there is no effective appeals process from decisions of the individual judges in the court. A panel of elders could bring wisdom, traditional values and community-based judgement to the present system. General Council to Oversee Tribal Council. At present, there is a little used and greatly ignored provision in the constitution allowing the people to review council decisions by referendum. A General Council of representatives from all families and area of the land could meet for this purpose, to insure that tribal council decisions are in harmony with the will of the people, and with the authority to overrule tribal council decisions. A Guarantee of Inherent Rights (An effective Bill of Rights). The current constitution does not prevent the tribal government from abusing the people by punishing people for speaking their minds, withholding monies, denying and limiting access to meetings and documents, and in many other ways. A Guarantee of Inherent Rights (Bill of Rights) recognizing, enumerating and guaranteeing the inherent rights of the people would be an effective means of preventing these abuses in the future. This enumeration of rights should not be left to the tribal council to create and change at will, but instead should be a fundamental part of the constitution. These inherent rights would include freedom of speech and expression, rights of free association and assembly, no unreasonable search and seizure, freedom of information and access to government, a guarantee of due process of law, and a reservation of all rights and powers to the people that are not specifically given to the government. The changes suggested above are only a small step down the path of creating a government that truly reflects who we are as Lakota. They are meant to bring immediate democracy and accountability to the current system in order to prevent the worst abuses of the people by the tribal government, and to insure the smooth flow of federal services that are our right under our Treaty. They can be put in place before the next general election to create a "transitional" or "caretaker" government while we restore Lakota self-governance. 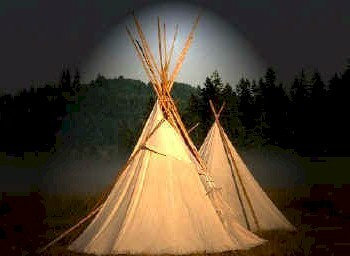 They are all in alignment with traditional Lakota values. Please take these changes back to your families, friends and neighbors and discuss them. If we can get people-centered control over the government as soon as possible through this strategy, we can then carry on to make the government reflect who we are, our highest values and dreams for the future of our people. Prepared by Dean Cycon, Esq. At the direction of the Grass Roots Oglala Lakota Oyate.